The absence of a vote of no confidence in CG’s leadership is what puzzles me. What is the case for him remaining in his post ? 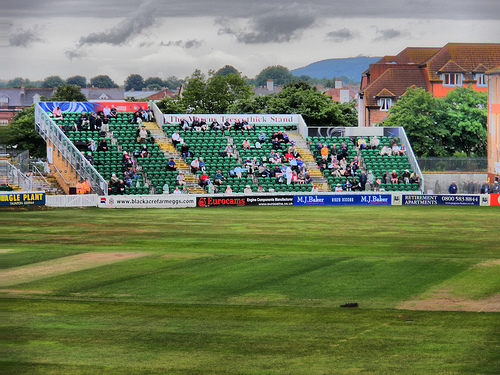 Why do we not hear a clear vision as to the future of first class cricket in England ? Presumably some must see merits in his abilities and vision to turn things around. Whatever his talents, they appear remarkably well hidden. I'm sure some see merits in his ability to hand out vast sums of money in return for not staging cricket matches. Anyone connected with Glamorgan CCC or Sophia Gardens, for instance, would certainly see a case for Graves remaining in his post. I think they did have some sort of a vote earlier this year. Eighteen counties plus the MCC plus each of the Minor Counties - 41 votes in all. Some of the above are cheaper to encourage to vote for you than others. Surely the whole thing has to be reconsidered. Chairmen were lured into voting for this based on a load of false figures and promises ( sounds very familiar) and now that the whole horrible truth is becoming apparent they must surely realise they have been duped. How do we the fans register our vote of no confidence in the administration of our game? I really like this coded message that manages not to mention the B word. And the final sentence summarises the frustration that many of us feel about an issue marginally more important than the 100. The two issues are similar in that if your only concern is money, then you'd be wanting to stick with Graves and his plans. After all, the Hundred's supporters have made some pretty lurid and plausible threats about this country's cricketing future unless the counties remain committed to the new competition. If you can see beyond short-term financial gain, and are concerned about the adverse long-term effects of his proposals on what you love, then you'd be looking for ways to leave those commitments asap. Particularly with the financial benefits looking more questionable the more they're examined. I will put this on this thread! 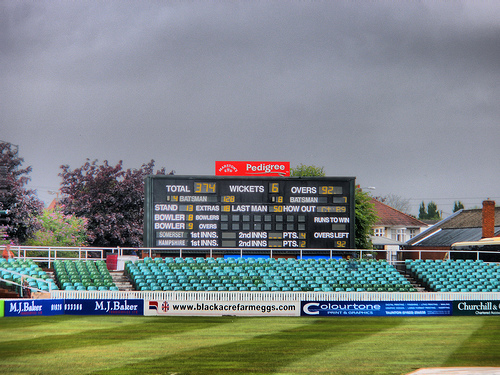 The County championship will feature a 10-team Division One from 2020, with only one team being relegated next year and three going up from Division Two. The current structure - in place since 2017 - will be reversed, with eight counties to compete in the second tier. So no overseas players for the 50 over cricket, I doubt if there would be any available, they will be in that other rubbish. No overseas so they can all play in Slog It. Or no overseas that might encourage people to watch county teams rather than Slog It teams. Have they defined "overseas player" for the post Brexit age yet? I'm pleased the 50-over comp will run at the same time as the hundred. I've always liked it and now know for certain which one I'll watch - even if (especially if) it's full of young players in county teams. That suits me fine. 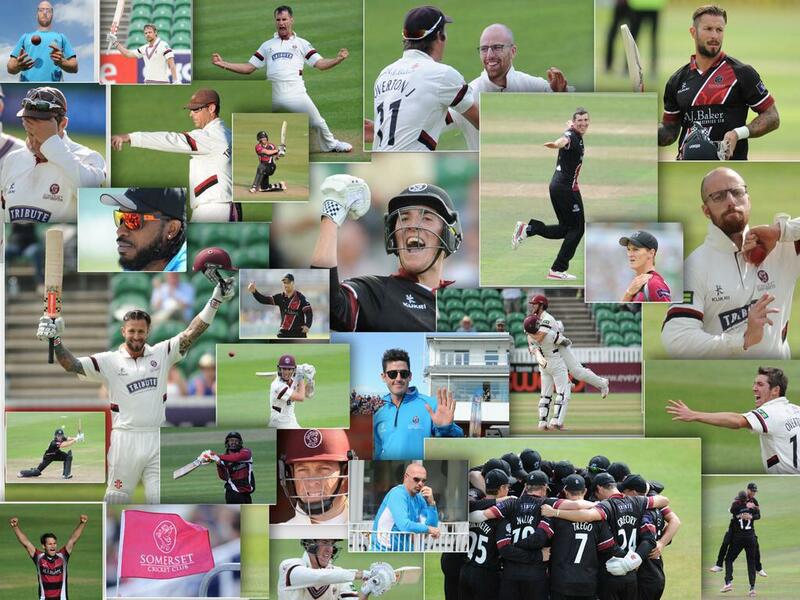 Can I propose lovers of more traditional formats come with me, watch the up and coming players, support Somerset - and let's see if we can get bigger crowds for the One Day Cup than for the new-fangled idiocy. Count me in to watch the young 'uns! SP: Why do you insist on writing things I always agree with! The Hundred... something that's being forced on us purely for commercial reasons. We have no memories of this type of stupid competition, it wasn't something that happened when we were kids. There will be a real effort to use it as a marketing tool. It's got nothing to do with cricket and not part of its long tradition at all. The wholesale importing of a commercial idea. Does anyone know anyone who will travel to watch the ‘Hundred’ ? The rest of the proposals are likely the best of a bunch of bad options. Really no idea how the ‘seeding’ system will work, nor how an ‘overseas player’ will be defined re the 50 over competition. I suspect that some here in London, that I know, who support far-flung counties may go to the odd game at Lord's or the Oval. But same are not what you'd call die-hard county cricket fans and it also depends whether you count a twenty minute tube journey as "travelling." I wouldn't be prepared to travel to the County Ground in Taunton to watch what is clearly going to be a load of .?.?.?.?..?..?.. silly games for women and children! Some comments to add to the discussion here. Forgive me pasting some tweets but I hope it still adds to the debate here. I’ve seen the draft 2020 fixture schedule and it’s ghastly for traditional cricket I’m afraid. 1. CC is the best domestic red ball comp in the world. 2. Women’s cricket has huge potential. With the 100 occupying 6 weeks peak season 2020 there could only be a negative impact for the other 3 competitions. They’re all degraded & the game awaits to discover what the cost will be in lower attendances, less Members, fewer County sponsors & commercial partners. 3. 50 is a mix of 1st & 2nd XI players as a sideshow while 100 is on. 1. If the ECB is going to degrade the CC, Blast & 50 what benefits is the 100 going to deliver to English cricket to compensate? 2. Has proper Risk Assurance been used to mitigate risk & confirm the benefits are achievable? I would say 'thank you' 57deacon, but given the contents of the 2020 draft, it really doesn't seem appropriate ! Thank you 57deacon for the update. Hasn't the ship sailed in respect of this? The ink is dry on the TV deal, it is going to happen and there is the square root of f*** all we can do about it. But they MUST know what they're doing! Or how did these people get where they are, or be allowed to put the game at such severe risk in such a way? I think 57deacon's points confirm our (and millions of other cricket followers') worst fears - it's as bad as voting to jump off a cliff not knowing whether you have a parachute or what's at the bottom. As I said before, I shall do all I can to attend the 50-over games and support Anything But 100. 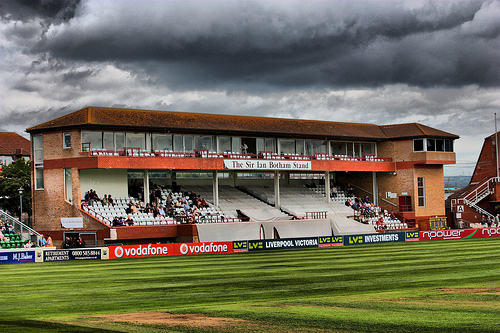 "2 questions fans should ask ECB and their Counties:"
Have not members of our Club repeatedly made their views known to the CEO's, committee members and Chairmen already, 57deacon? 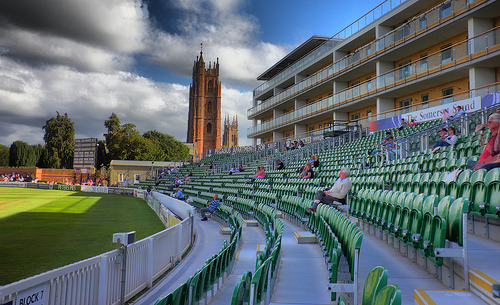 It is the members and supporters who have been let down by the County representatives on the ECB, who have kowtowed to the likes of Colin Graves and his cohorts without seemingly expressing the serious concerns which are being suggested now. Lack of foresight or a vested interest? 57deacon, At least I can plan 2020. A warm hat and scarf for the first half of the season, find something else to do in the summer on days when there is no 50 over cricket, keep September free for the second half of the Championship season. 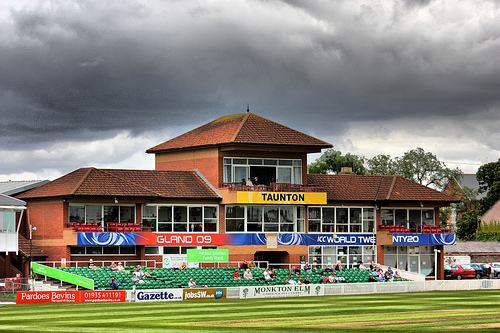 Fortunately there are plenty of other sporting options for the summer but none really quite match the thrill of watching Somerset. I look forwards to a substantial reduction in membership and general admission prices. There is nothing else I can do. It is just not true, Following On, that the ink is dry on the TV deal and the £1.3 million promised to each county is in the bank. The sports sponsorship market is in rapid downfall, and the Hundred sponsors will most certainly have a `get out` clause. A year ago the Rugby Union turned down a £14 million annual offer from RBS to sponsors the 2019 Six Nations. Now it has just gone to a leading London law firm for well shy of £6 million (trust a leading London law firm to win a race to the bottom). This is after negotiating with around 100 multi-national, quite a number of whom replied that they were keeping their petty cash in hand for the time being to combat the 2020 Brexit economic downturn. Grateful thanks to 57deacon for an excellent summary of the horrors to come. If only there were more at ECB level with his grasp of how the real cricket supporters feel. The quote that still sticks in my mind is that "100" is for mothers and kids to enjoy!! Presumably no thought to the rest of the cricket fraternity! 25% of the season in the height of summer given over to entertainment which is best described as - toytown play games - means that our leaders must have a death wish. Can we not sack them before the whole of summer is given over to some real stuff for mother and kids - American football because nobody with any sense is interested in watching "100" rubbish. My original suggestion of little holes all over the pitch with bunnies sticking their heads up at unexpected times has never been taken up!! 1. CC mostly in April, May and September (almost into October! 1. CC to be played entity during April,May,June and most of July. 3.Blast in a block last two weeks July and first 3 in August. 4.Play offs in JPL and Blast last week of August first week of September. Edited 1 time(s). Last edit at 11/11/2018 13:39 by nelliec. Yesterday was the deadline for the ECB to sign the television deal for the `Hundred` horror until 2024, that it is alleged will feed £1.3 million into the coffers of each of the 18 counties. The silence on the ECB website about the contract is deafening. I wouldn`t count on the money quite yet, if I were a county treasurer. Just reflect on the Rugby Union`s current £31 million debts, after turning down a £32 million RBS sponsorship offer for the Six Nations sponsorship through sheer greed and eventually having to settle for £6 million. I see the residency rules are changing too which means Joffra Archer will be eligible to play for England next March. How convenient! I have lived in the West Country all my life but I still can't remember ever seeing a bigger heap of bulls**t all in one place. This is going to be a colossal failure, isn't it? With another brilliant, expanded T10 tournament going on in the UAE right now, there's going to be an explosion of T10 tournaments around the world by the year 2020. Never mind worrying about the Caribbean Premier League overlapping with the Hundred - there'll be any number of T10 franchises looking for players too. It might not be just overseas stars forsaking a wet Tuesday night in Cardiff for a beach in Barbados - I can imagine a few English players receiving better offers elsewhere too. Anyone who voted for this is not going to find history judging them well. The word 'execrable" springs to mind. Or perhaps 'laughable' would be more appropriate. It really is not laughable; very sad. Your first godly adjective seems more appropriate, Grizzzly.